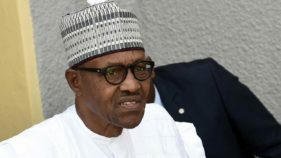 All said and done, I am not sure that President Muhammadu Buhari will be willing to abandon his sworn commitment to bring to an end the apparently intractable insecurity problems threatening to set the country on fire. In fact, the President must see it as a war that he must win – and this phase of the on-going war cannot, by any means, profit from any form of prevarication. Truth be told, it is the North, more than other zones, which bears the major brunt of this self-inflicted madness. The reason is clear enough. 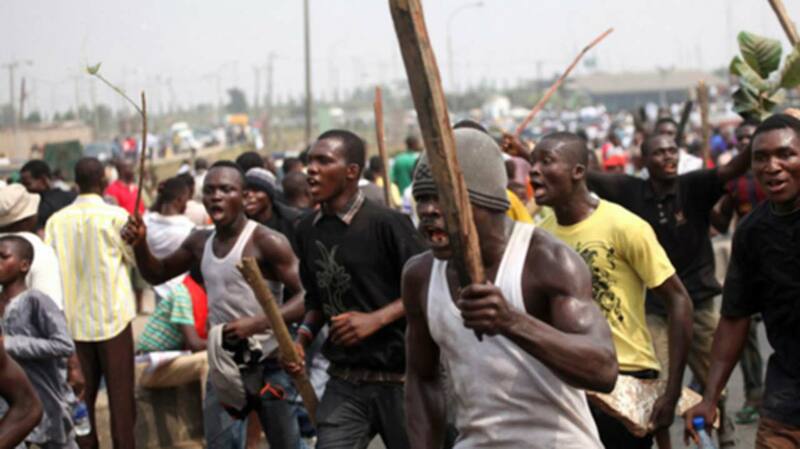 The North, once thought to be a united and monolithic political colossus, has today become a victim of religious bigotry as well as ethnic chauvinism breeding all manner of crises ranging from the Maitasine riots in the 1980s to the various religious clashes between Christians and Muslims in places like Kaduna, Kano, Yola, Kafanchan, Jos, Katsina and even Bauchi culminating in the Boko Haram insurgency and the cattle herdsmen and farmers feud with their horrendous bloodletting capabilities. Unfortunately the leaders of the North – traditional, religious, political, military and even intellectual – all of them, in their brazen pursuit of mundane perishability, seem to me to have failed woefully to pull the region back from the brink. This disturbing situation provoked the column I wrote in Newswatch in July 1991 titled “the wild, wild North” which I reproduce today because of its continued relevance in the search for solution. Nothing appears to have changed since then – except perhaps for the worst. In addition to the home grown religious clashes of those years, the North has since imported armed robberies, kidnappings and ritual killings to add up to the number. Once, they say, is happenstance, twice is coincidence and the third time is enemy action. If this age-old saying holds true in all situations, then there is a real temptation to see the long and blood-dripping hand of the enemy behind most of the disturbances we’ve had in the North in the guise of religious conflicts. It has happened not once, not twice and all with so much death and destruction. From Kano to Yola to Maiduguri to Kafanchan to Katsina and now Bauchi. And there seems to be no end to it. So who is the enemy at work? The committee set up by the emirs and chiefs of the 11 northern states has a difficult assignment. Last week, the emirs met to discuss this troubling development and the Sultan of Sokoto, Ibrahim Dasuki, stated it as it is by calling the North the “bedrock of disturbances.” He could have called it the wild, wild North, having successfully upstaged the West, once notorious as the hotbed of political intrigue and violence. Clearly, the North has acquired the dubious reputation of a volatile and temperamental region. Before you can say salam or Jesus is the answer,” one church or mosque would have gone up in flames and the so-called army of God would have ransacked the homes of the so-called unbelievers in a self-righteous indignation that is based on arrogance, irrationality and provocation. The Sultan, who appears very disturbed by this development, urged the emirs and chiefs to worry about what is happening and bring to bear on their followers the need for peaceful co-existence and tolerance. These incessant conflicts, he said, are not the problems of Nigerians in the South and so, as “fathers of the nation, emirs cannot stand and watch the situation get out of hand.” The Sultan wanted the meeting to discuss the means of arriving at a lasting peace in the North. The committee was given the task of identifying the causes of the conflicts and to suggest solutions. The first flaw is the non-representation of CAN, the Christian Association of Nigeria, northern branch. The conflicts have almost always been between the Muslims and the Christians. The most difficult aspect of the committee’s assignment is its ability or the lack of it, to get to the root of the matter. After the Kafanchan riot, many meaningful leaders of the North – politicians, captains of industry, religious leaders and community kingpins – met to find a solution to the problem. The success of that exercise can now be measured by the enormity of the Katsina and the Bauchi riots that followed Kafanchan some three years later. So, what is wrong? That is what the committee should probe into: the root cause. This may not be found in the so-called attempt to Islamize the country which the Christians are supposed to be opposing. The history of the North from the time of the Sardauna and premier of the defunct Northern Nigeria, Ahmadu Bello, does not prove conclusively that there was any attempt at any time to Islamise the North, not to talk of the whole of Nigeria. The talk of Islamisation is all crap, a smokescreen for the enemies of the people to foment trouble between one group and another and, therefore, hold down the economic development of this part of the country. And the naive and the gullible few, the veritable wretched of the earth, have always swallowed this and made themselves readily available to carry the cans of petrol and the boxes of matches, the bows and the arrows and other weapons of war. There was no religious riot throughout the tenure of the Sardauna. The man tolerated Christianity so much that he allowed missionary activities to go on unimpeded. Many Muslim youths went through the missionary schools and acquired western education and profited from their knowledge of the two religions. The Sardauna had Christians in his cabinet and even sponsored many of them for positions at the centre. That cannot be said to be the practice of a fanatical apostle of Islamisation. If he had wanted, the Ahmadu Bello University, Zaria, which he founded would have been an Islamic university, the New Nigerian an Islamic newspaper, the Broadcasting Corporation of Northern Nigeria, BCNN, the voice of Islam and the NNDC the economic base of Islam. Unfortunately, the Christians in the North have adopted the fatalistic attitude that all their “woes” come from the fact that they are not Muslims. The minority ethnic groups are much more to be pitied in this respect. They believe they cannot do anything because the Muslim Hausa-Fulani group would not allow them to do anything. 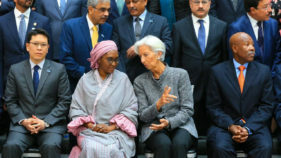 They are, therefore, willing tools in the hands of those whose mission is to fight “feudalism” and liberate the society from the grip of the so-called Hausa-Fulani oligarchy. Those in the North who are critical of the system are dubbed by the egg-heads in the South as radicals. But the radicals in the South are not called radicals, they are ‘social critics’, though they also have their own feudalism to fight. And what is feudalism if not the unwholesome and pervasive and intrusive influence of the traditional authority as represented by the Ooni of Ife and the Oba of Benin, for example? The committee also has to worry about the economic consequences of all these disturbances. The economy of this country has its home in the South. Only once in a while does it make a tentative attempt to go up country. With the incessant disturbances in the North, there is no way you can attract investors there. And so the yawning gap will continue to exist between the North and the South. Political and economic manipulators would consider such balance or imbalance a fair equation, after all does the North not control political power? And now with this endless feud, the impression is that the North cannot put its house in order. Soon, it will make sense for people to question the morality of the continued political dominance by those who cannot put their house in order. What is happening in the North is not a religious crisis. The Christians and the Muslims, if they take time to reflect, may discover that they are being used to destroy their own base and their own roots. By the time they finish with one another, they would have destroyed their legitimacy and ultimately, they would have worked so tirelessly for their own extinction. And that would be perfectly okay for these invisible and these mindless manipulators.